kids running around in search of candy. I’m not a big fan of dressing up for Halloween, but I do enjoy passing out lots of candy to the cute trick or treaters. 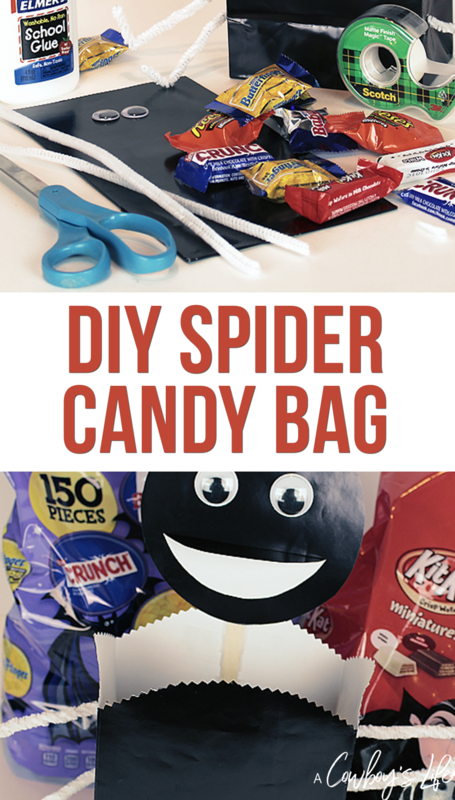 This year I created a spider candy bag to place in the teacher lounge at school. 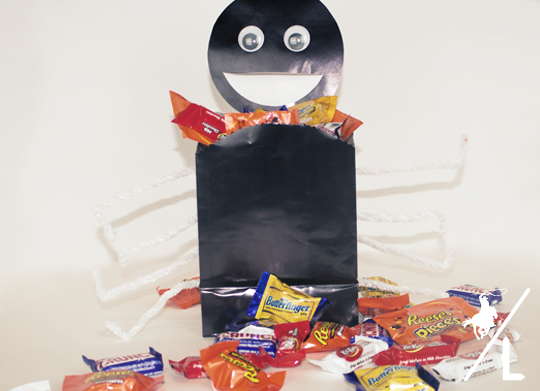 Kids aren’t the only ones that need candy – and it’s the perfect treat to get your through the school day. Take the lunch sack and cut the top so that it’s a half circle. Hole punch 2 holes on each side of the bag. Place the pipe cleaners through the holes to create the legs. Cut out a circle from the construction paper and glue to the top of the bag to create the head. 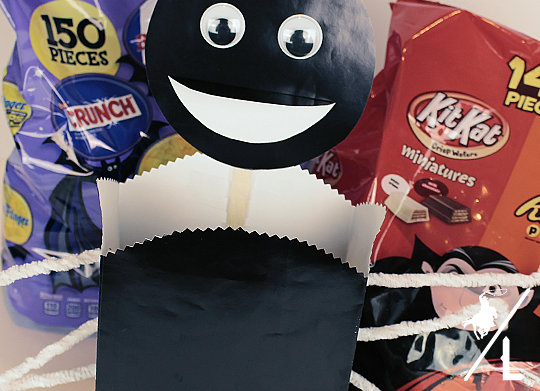 Create a smile or mouth using paper leftover from the bag and glue to the face. 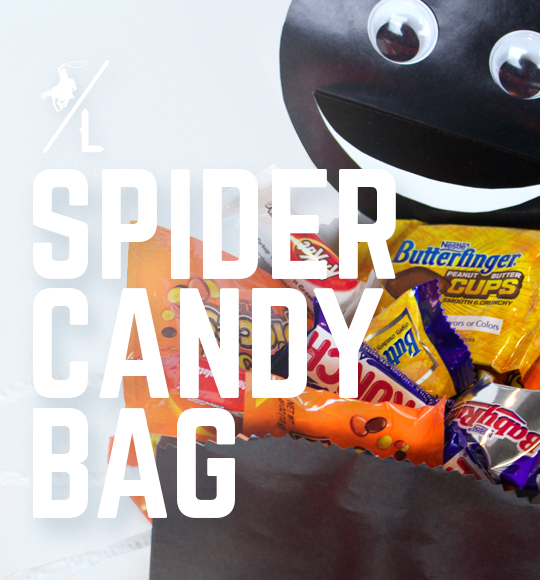 Add the Hershey Candy and you now have an adorable spider goodie bag. 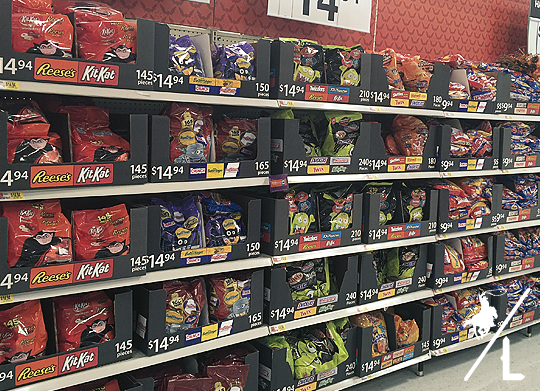 Walmart has aisles of candy and Halloween costumes out already, so this weekend I picked up a couple of BIG bags of Hershey variety candy. 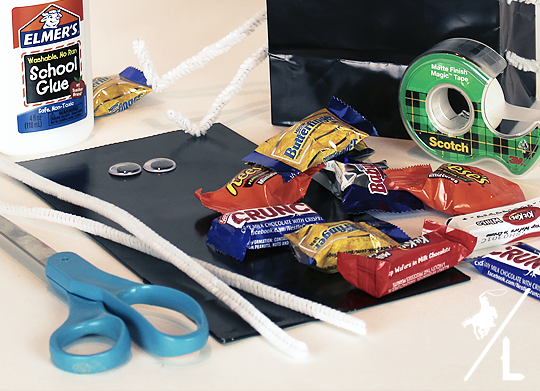 These bags are the perfect size for parties or handing out to your little visitors. 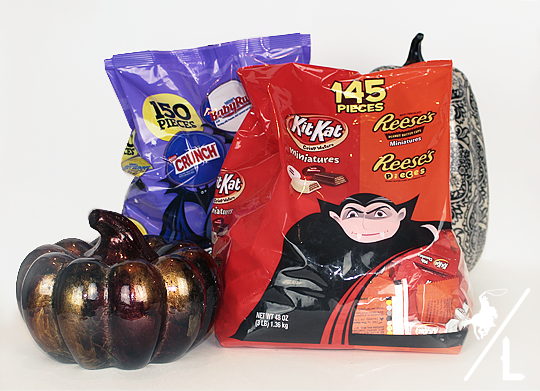 Are you already getting ready for Halloween? 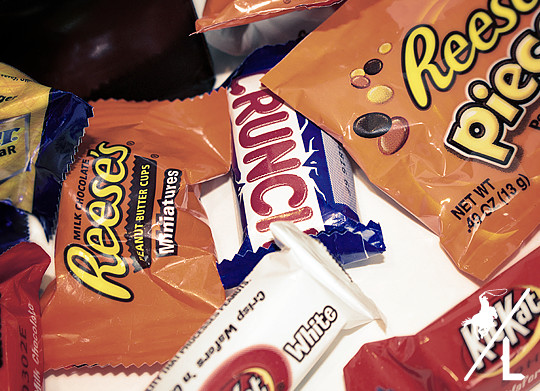 Do you enjoy passing out candy to the kids? What a fun idea – sending something in for the teachers. They like to have some sweet fun too! I know these would make great party bags for a school party too. Very clever and fun Halloween Craft. What a cute Idea! i love it!!! This is so cute. I just love it, it seems so easy to make too. Oh my gosh, that it so adorable! And definitely something you could tackle with the kiddos. I know mine would love making it!